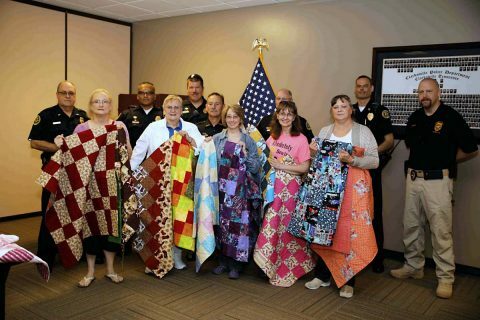 Clarksville, TN – Clarksville area quilters united and generously donated 224 quilts to the Clarksville Police Department. 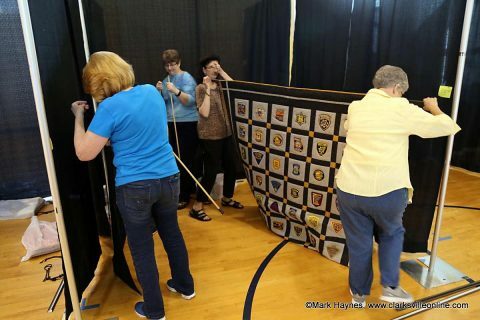 The trunk quilts are meant to provide comfort to children or something to hold onto when they are going through a difficult time or feel like the world is crumbling in all around them. The quilts were made through a collective effort by Clarksville quilters in groups, at home, and, in quilt guilds. 224 Hand-Made Trunk Quilts were donated to the Clarksville Police Department by local quilters. Clarksville, TN – On April 20th-22nd, 2017, the Rivers and Spires Festival held their annual Quilts of the Cumberland Quilt show at the Madison Street United Methodist Church. There was 42 quilts that ranged from traditional quilts to one of a kind art quilts. 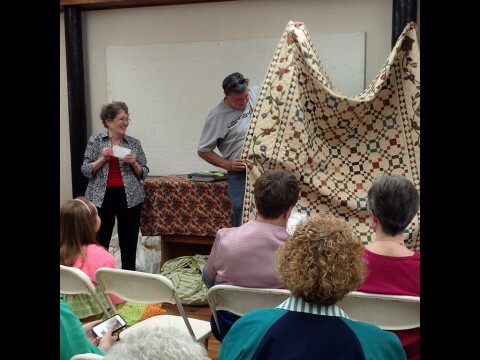 This event showed how talented quilters in the area are. The quilts on display were gorgeous. 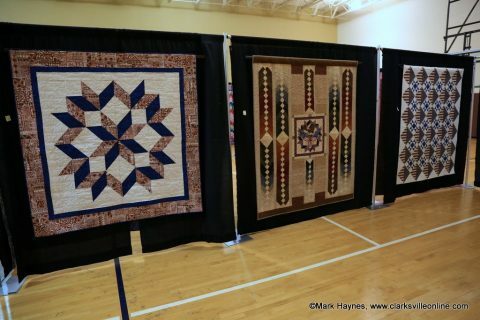 The quilt show was free and open to the public. 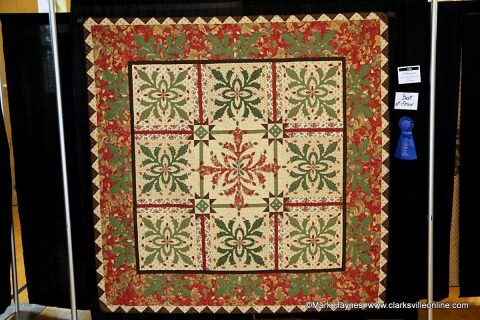 Kathern Parker & Sandra Fusco won Best of Show at the 2017 Quilts of the Cumberland Show with her entry “Christmas Cactus”. 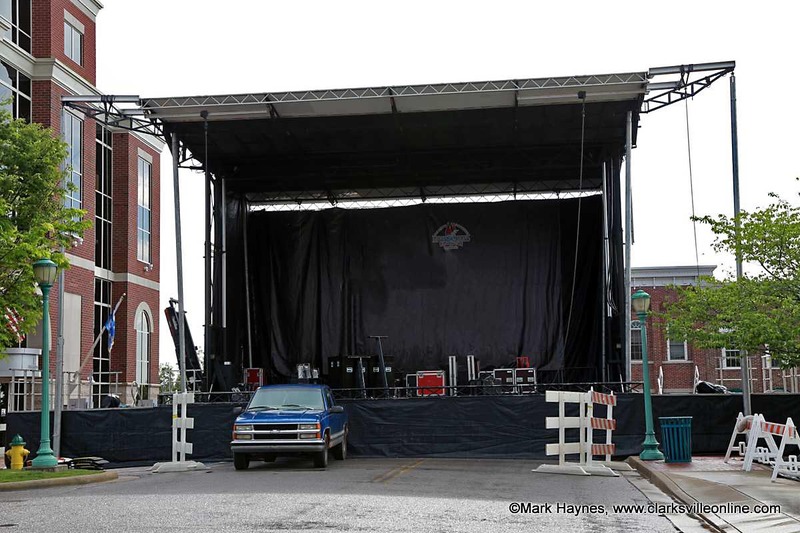 Clarksville, TN – The 15th annual Rivers and Spires Festival kicks off tonight, Thursday, April 20th, in Downtown Clarksville Tennessee from 5:00pm until 10:00pm. Chase & Ovation will headline the Public Square Stage tonight performing the music of Prince. Rivers and Spires is an event for the whole family featuring children’s activities, arts vendors, a car show, military exhibits, shopping and so much more. Those that attend will have five stages of live entertainment with over 100 performers to enjoy during the three day event. The Rivers and Spires Public Square Stage being prepared for tonight’s events. 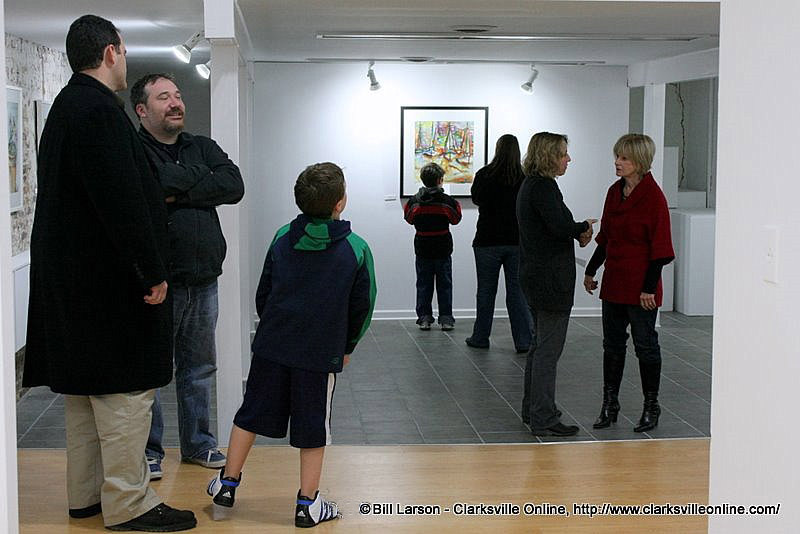 Clarksville, TN – A new exhibition at the Customs House Museum celebrates the art of cutting. 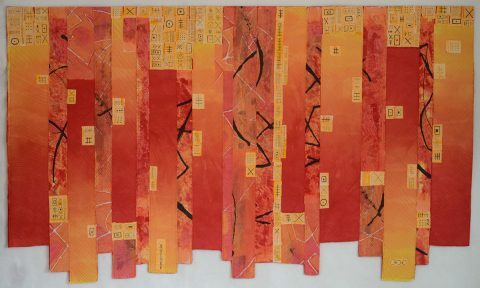 The four women in the show possess patience and vision, and while they work in different styles, and with different materials, they all create their art through the act of cutting. Clarksville, TN – Rivers and Spires Festival kicks off tonight, Thursday, April 16th with musical entertainment for everyone. This free festival will have musicians of all genres. Tonight’s hours are from 5:00pm-10:00pm. 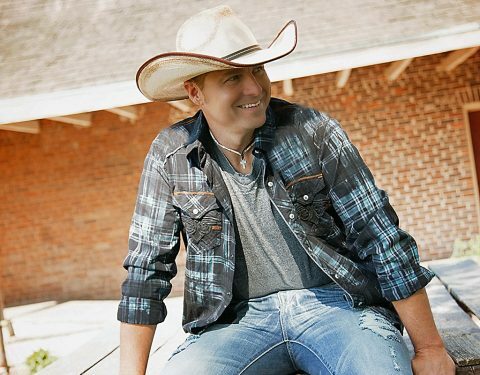 Country artist Corey Farlow plays the Public Square Stage tonight at 8:30pm. 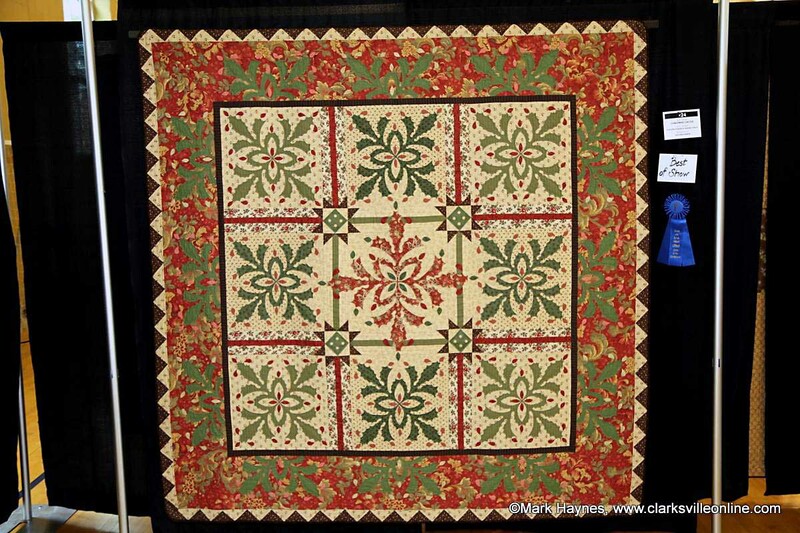 Clarksville, TN – The Customs House Museum is showcasing part of its quilt collection through January in the exhibit Patterns of History. Sponsored in part by Legends Bank, this exhibit highlights covers dating as far back as 1830. Included is a Mexican Rose quilt (c. 1850 – 1860) and a “Crazy Quilt” piano runner (c. 1880) made by Lena McLean of Rutherford County, TN. Judy Schwender of the National Quilt Museum to speak at Customs House Museum. Clarksville, TN – Clarksville’s First Thursday Art Walk is produced by the Downtown Clarksville Association and is a free, self-guided tour spanning a 5-block radius that combines visual art, live music, engaging events and more in the heart of Downtown Clarksville.